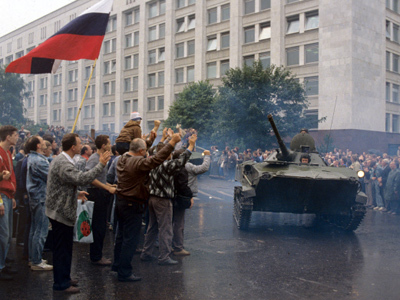 On August 19th twenty years ago Muscovites heard tanks rolling past their windows as a state of emergency was imposed by a group of hard-line Communist officials in a bid to seize power and stop the reforms that broke up of the Soviet Union. ­While the dramatic events unfolded in the capital, most of the population was being kept in the dark. People turning on their TV sets in Moscow on the morning of 19th August 1991 were greeted by a broadcast of Tchaikovsky’s Swan Lake. Why? Because out on the streets, a real-life drama was taking place. Confusion and panic reigned, even among the tank crews themselves. 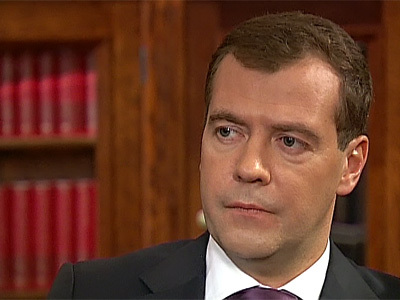 “We were ordered to march toward Moscow. I thought I'd figure it out when I get there, as we weren't given any information as to what was happening,” remembers tank commander Sergey Yevdokimov. The president of the USSR, Mikhail Gorbachev, had been shut in his Foros holiday home in the Crimea. A “State Committee on the State of Emergency” declared itself in charge. It was made up of high-ranking Communist Party officials, including the head of the KGB, the defense minister, and Gorbachev’s vice-president. They were terrified that Gorbachev’s democratic reforms and the “Union Treaty”, due to be signed on 20th August, would draw so much power away from the center to the Soviet Republics that it would destroy the Soviet Union. 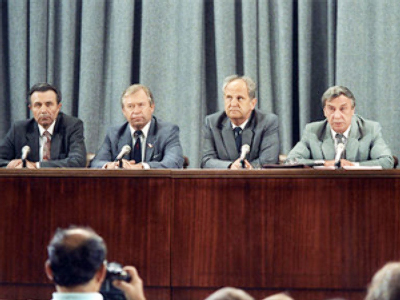 In a press conference later that day, they said that Gorbachev was ill, and that they would take over in his absence. But their performance was not convincing. “They looked pretty ugly, pretty unconvincing and I guess I just got mad,” says Elena Maklina, remembering her audacious intervention. Meanwhile on the streets of Moscow, the Russian Supreme Soviet building, – the White House – had become the center of resistance to the coup. Boris Yeltsin, the president of the Russian part of the USSR, had convinced some of the tank crews to switch sides. 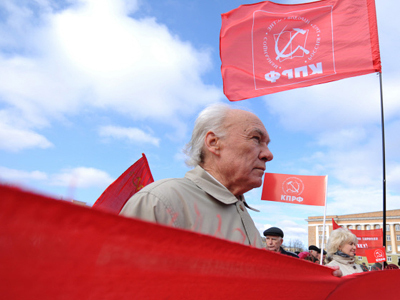 People flocked to join him and demand Gorbachev's return. “If Yeltsin tells you that both Yazov [the Minister of Defense] and your commander are traitors and enemies, whose orders will you obey?” recalls a former protester, Sergey Brachikov. As night fell on 20th August, a curfew ordered by the coup organizers raised fears of an assault on the White House. 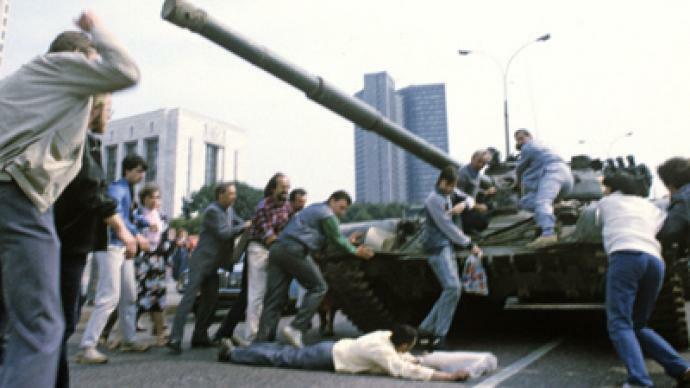 When armored vehicles began moving through a road tunnel that night, protesters disillusioned with the Communist Party rose up to defend their hopes of democracy. Lyubov Komar lost her son Dmitry that night. He fell out onto the road, where his friend Vladimir tried to drag him away. Well, the machine rolled over my son's head and killed Vladimir as well,” she said. The coup had failed, and what is more it destroyed trust in the Communist Party which was banned in Russia in November 1991. By the end of the year, the very system the putschists had sought to keep alive – the Soviet Union – had ceased to exist.